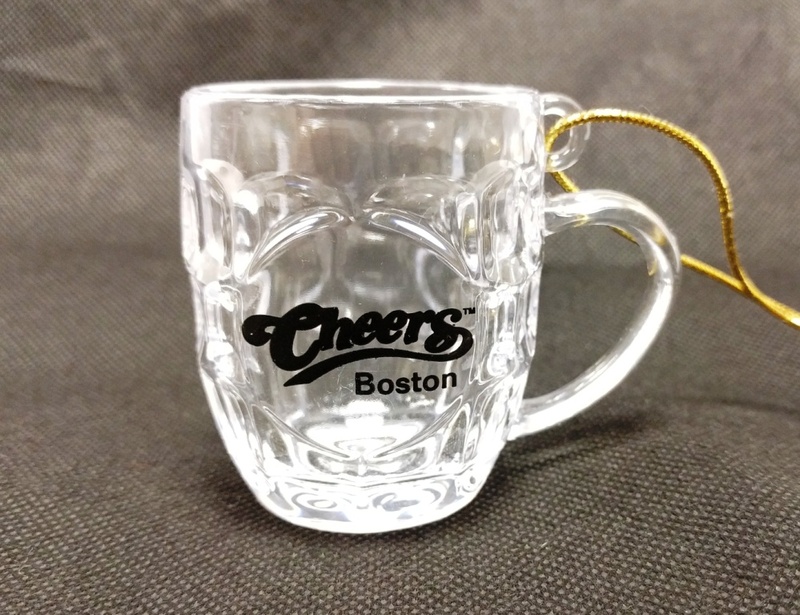 Our Best-Selling and "World Famous" Dimple Mug is a steal at this price. 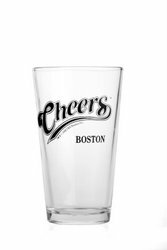 This is the actual glass that you will be served a beer/beverage when in our Boston restaurants. 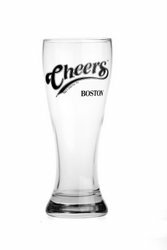 With a weight of 1.25 lbs. 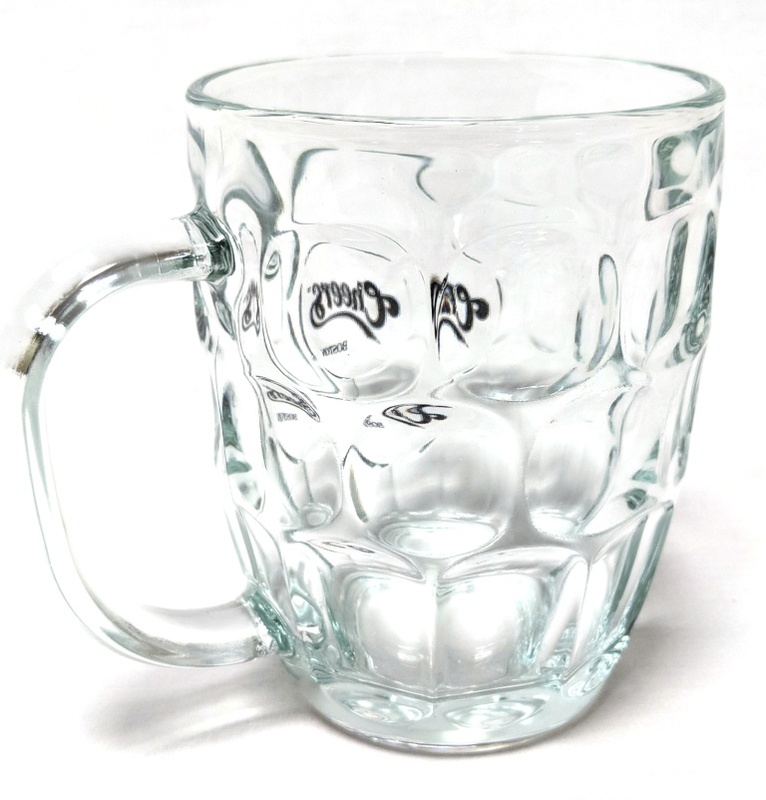 and a classic "Britannic" Dimpled Style; this glass is sturdy and great looking. 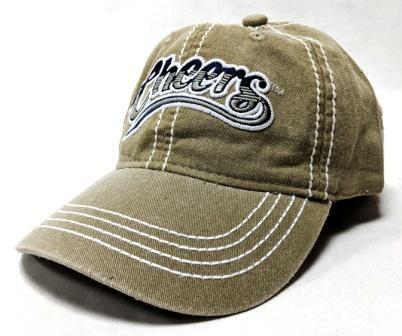 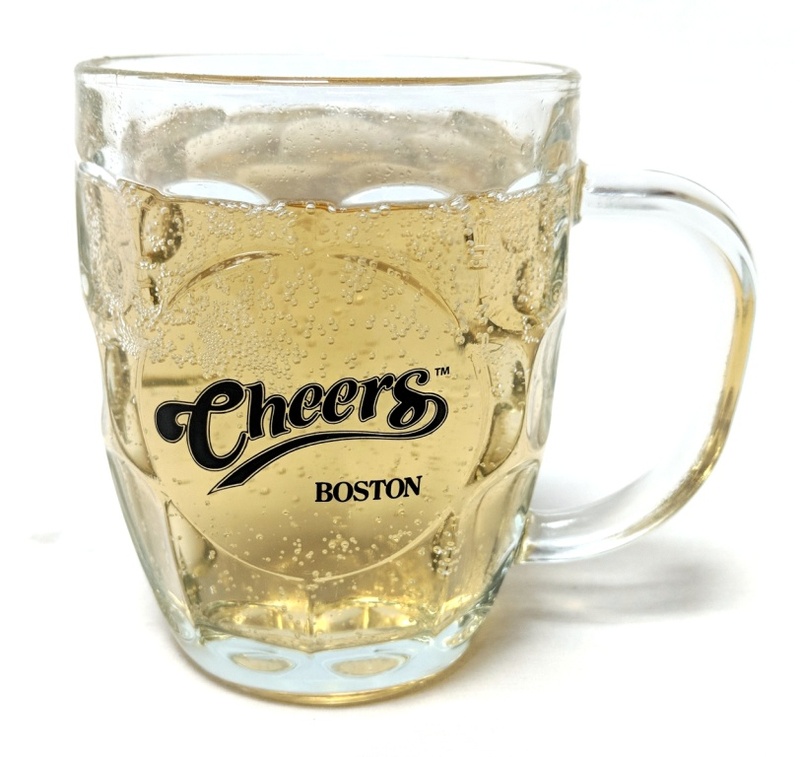 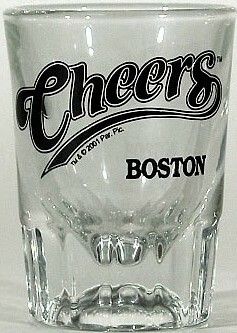 The Cheers Boston logo is emblazoned in Black Ink. 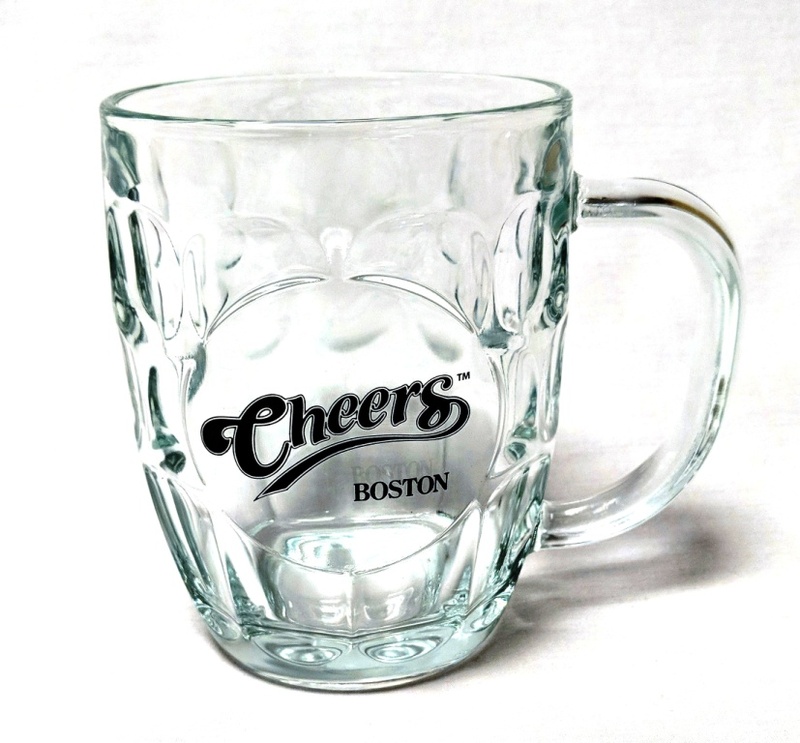 Perfect for Beer, Hot Coffee, Iced Coffee, Margaritas, Root Beer Floats, Soup, Cereal, Long Island Iced Teas, milk-shakes and anything else you can think of !